The front page photo was startling, even to people who had lived in the city all their lives. On May 4, 1909, the Hartford Evening Post showed an alley just a block from the Colt Firearms factory. 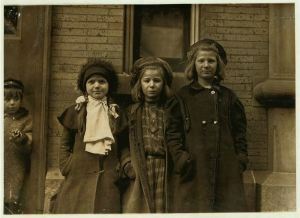 The tenement yards were full of garbage which “reeked of a germ-laden stench.” Not surprisingly, five people had just contracted diptheria in this Dutch Point neighborhood. Hartford was a thriving city at the start of the 20th century, but its poor people, mostly immigrants, still struggled and suffered. 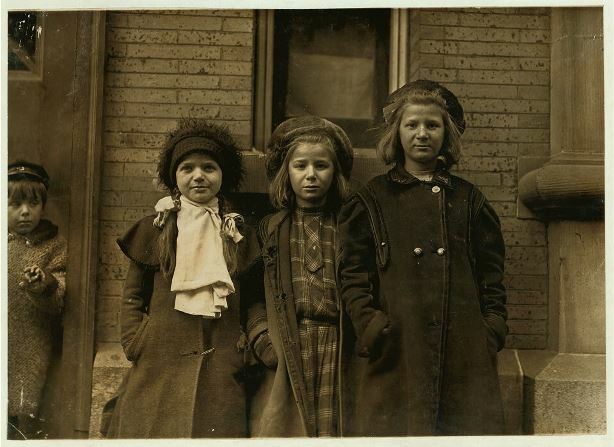 Hartford children sold newspapers as a way to survive. Seven days a week, often late into the night, as many as two hundred city youngsters sold the Post and the other Hartford newspapers for pennies a copy. Unfortunately for them, in 1909 the “newsies” found their meager living threatened as a result of a brawl between the country’s most powerful newspaper moguls. Joseph Pulitzer, owner of the New York World, and William Randolph Hearst, who owned the New York Evening Journal, constantly competed with each other with an eye to maximizing profits. The rivals’ latest tactic was to refuse to credit distributors for unsold papers. 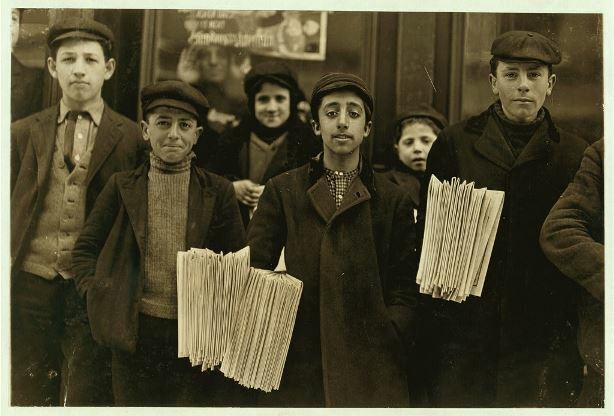 Up until this time, newsboys bought bundles of papers and received compensation for copies they did not sell. When the two millionaires halted the practice, it hurt the newsies’ earnings. Both New York papers were popular in Hartford; several editions arrived by train each day. It was the job of Herman P. Kopplemann, Hearst’s agent in Hartford, to implement the latest cutback. The newsies were not about to accept this reduction without a fight. On the morning of May 1, 1909, boys from all over the city met at Zion Hall on Winthrop and Pleasant Streets (where Barnard Brown School now stands). It was raining, but that did not stop one hundred boys from marching behind a drum and bugle corps with a huge banner urging customers to buy only local newspapers. 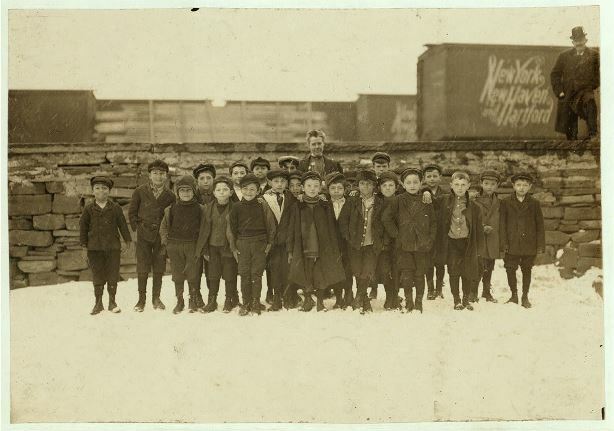 The next day the young workers formally created the Hartford Newsboys’ Association. Assisting them were Sol Sontheimer of the Central Labor Union, and Mary Graham Jones, the head social worker at the Hartford Social Settlement. The mass meeting elected Harry Brightman as union president and Morris Zalkovitz as vice president. The newsies’ union received a great deal of local support. Hartford drug stores refused to stock the two papers and many regular customers stopped buying them. Individuals and businesses made donations to the strike. At a second parade on May 17, all the newsies were carrying flags and wearing white caps and union pins, purchased with the aid they received. Herman Kopplemann knew how to handle his boys, however. He had been through similar disruptions before, every time the newsboys faced a new pay cut. Kopplemann used strikebreaking tactics that had been perfected by industrialists who faced unionization on a mass scale: he hired black residents as strikebreakers to sell papers, he imported adults from out of town to intimidate the newsies (the young strikers beat them up) and he spread rumors that the strike was over. Kopplemann also recruited his brother Abraham to organize an “alternative” association to compete with the boys’ union. To sow greater confusion in the newsies’ ranks, Koppelmann intimated that rival New York newspapers were secretly paying strike leaders to prolong the labor dispute at the expense of the rank and file. This the boys hotly denied: “We are fully competent to handle the situation in question, which is proven by the fact that we have fought our opponents successfully for two Sundays and seven week days without the aid of any publisher whatsoever,” wrote striker Nick Murano, most likely with the help of social worker Jones. Hearst’s Journal even sent an undercover representative to Hartford to break the strike. A local clothing store owner exposed the Journal man when he tried to buy a large quantity of boys’ suits and shoes. 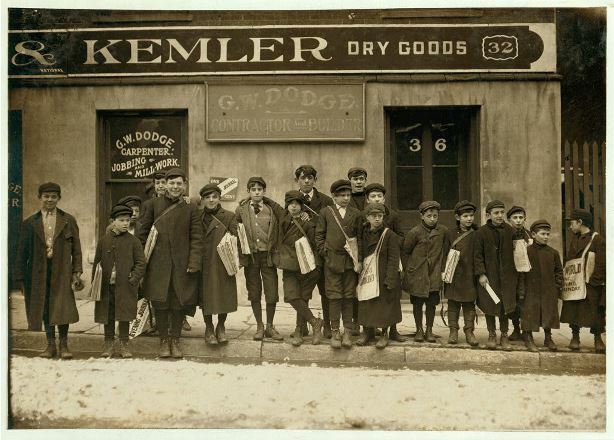 Kopplemann planned to offer the duds as a bribe to any striking newsie who broke ranks. In the end, the pressure on the newsies proved too great to withstand. The leading union figures traded charges of graft, fought with each other, and split their ranks. It is not known precisely what role Herman Kopplemann played in these disruptions, but the outcome served his purpose. On May 19, after three separate votes, the youngsters ended their strike. Seven months later, the newsies learned that Herman Kopplemann was no longer the Hartford wholesale agent for Hearst’s Journal. Instead, there was a new distributor: Harry Brightman, former newsboy union president. Harry continued to live in Hartford, raised a family, and went on to become a successful used car salesman and a pillar of the community. Herman Kopplemann parlayed his newspaper dealership into a political career. Ironically, he became the “friend of the working man,” successfully winning elections to serve on the city council, state senate, and US Congress. At the Connecticut General Assembly, Kopplemann introduced pro-labor legislation, including a bill to prohibit the state militia from interfering with labor strikes. He was endorsed by the progressive CIO and considered a solid New Dealer. The newsies’ organizing efforts continued, but conditions only got tougher for them over the next decade. Hartford officials declared that the boys’ newspaper bundles blocked sidewalk traffic and were a nuisance. The cops roughly cleared the newsies out by throwing their papers into the gutter. The city also began to require all young paper sellers to register and wear ID badges. The eventual end of the newsies was signaled when the Hartford Times installed street corner vending machines, charging a nickle for every three-cent newspaper and eliminating the need for newsies altogether.